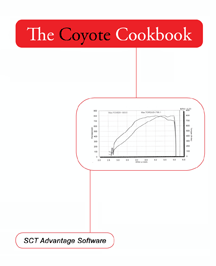 The Coyote Cookbook is the only advanced tuning resource for 2011-2015 Ford V6 and V8 Mustangs and other vehicles with the Coyote engine. It has been years in development. It is by far the largest book published by LaSota Racing. Coyote guru and NASA Engineer, Jeff Chambers of CRT Performance provided technical and tuning assistance during the production of this book. 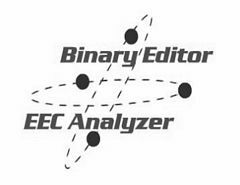 Like our other books, it is a pure tuning guide, using SCT Performance tuning hardware and the basics of navigating/configuring SCT Advantage software are skipped. That leaves more room for strictly tuning information. 150+ pages of pure tuning information. Meant for SCT Tuning shops, but also for the hard-core hobbyist!The former 'secret information' and mysteries of tuning these motors are all revealed! Basic automatic transmission tuning is also covered, but this is not a transmission tuning guide. We also do not cover gimmicks such as false opey idle tuning and 'torque' tunes. Don LaSota is a retired EPA scientist, who has been racing and tuning vehicles all of his life. Since founding LaSota Racing Technologies over a decade ago, Don has tuned thousands of vehicles and spent countless hours training other tuners. 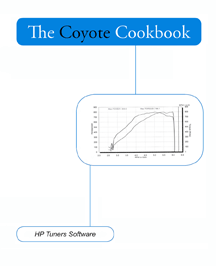 This is the PERFECT Book to get you started and keep you going tuning all Ford Coyotes from 2011-2014. Or use it as a companion to the LaSota Racing Ultimate Tuning Guide for earlier vehicles! The Coyote Cookbook is the only advanced tuning resource for 2011-2015 Ford V6 and V8 Mustangs and other vehicles with the Coyote engine. It has been years in development. It is one of the largest book published by LaSota Racing. Coyote guru and NASA Engineer, Jeff Chambers of CRT Performance provided technical and tuning assistance during the production of this book. Like our other books, it is a pure tuning guide, using HP Tuners tuning hardware and the basics of navigating/configuring HP Tuners software are skipped. That leaves more room for strictly tuning information. 120+ pages of pure tuning information. Meant for HP Tuners shops, but also for the hard-core hobbyist! The former 'secret information' and mysteries of tuning these motors are all revealed! Basic automatic transmission tuning is also covered, but this is not a transmission tuning guide. We also do not cover gimmicks such as false opey idle tuning and 'torque' tunes.